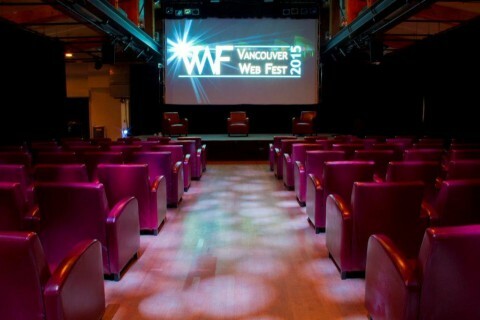 Last weekend web series producers and actors from around the world descended on Vancouver for the 2nd annual Vancouver Web Fest. I spent Sunday at the Web Fest watching more than 25 samples of web series and I was absolutely blown away by the quality of what I was seeing. I have a number of friends who are involved in the web series industry, but outside of that I have not really been exposed to web series on a regular basis. Consequently I was surprised at the astounding variety of themes I saw just in one day and very pleased to see that the quality of work I have seen in the few series I have watched seems to be the norm rather than the exception. Some series are designed to have that home-movie look, particularly the reality ones, but at times I forgot that I was watching a web series on a big screen and not a big budget movie. So many web series have little to no funding and yet seem to be able to make the most of what they have through volunteers and cast and crew working for free more often than not. Canadian web series makers have a little advantage as some are able to qualify for an independent movie grant from the government, but other countries are not so generous. Despite these obstacles, the series that I saw on Sunday showed no sign of being low-budget and captivated their audience from minute one. While I enjoyed all of the series that I saw, there were a few standouts for me. 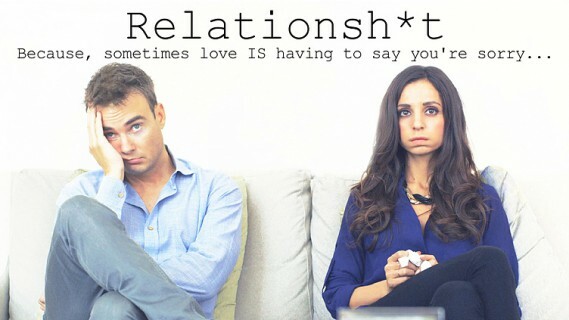 Relationsh*t, produced by and starring Robin Dunne and Farrah Aviva, had me laughing out loud in my seat – something I rarely do when sitting with people I don’t know! Rob and Farrah have recently moved in together and are having some issues so are advised to each make a vlog. The three episodes shown were pieces of each vlog highlighting what was annoying each of them about the other. I was actually sad when the episodes were over and will definitely be looking out for the rest of the series. Discrepance really surprised me at how much it drew me in. The French production from Camille Chastrusse is the story of four friends in their early 20’s taking a vacation at a family cottage and discovering secrets they are holding and redefining who they are and what they mean to each other. I am not usually fond of foreign language movies because I get so caught up reading the subtitles that I miss what is going on with the picture. With Discrepance, that was not even an issue. I read the subtitles quickly but without missing anything and at times, the story was so well portrayed that you didn’t need the subtitles. The actors’ faces said so much that had the entire thing had no subtitles, I think that the overall idea of the story would still have come across to the audience. Discrepance took home the award for Best Screenplay, a well deserved honour. Another winner on the night was the French Canadian entry Les Jaunes which took home the Best Fantasy award. Once again in French with subtitles it is a gory yet funny take on the traditional zombie story. Two grocery clerks find themselves in the middle of a zombie attack after one of their young colleagues is infected by a creature that turns him into a Jaunes (yellow), a zombie characterized by his skin turning the titular yellow. Once again, I found myself laughing aloud immediately followed by jumping as the creature suddenly appeared from nowhere. A brilliant combination of horror and comedy with a lot of potential for a lengthy storyline. The final standout for me was one of the many entries submitted by Canadian producers Frostbite. 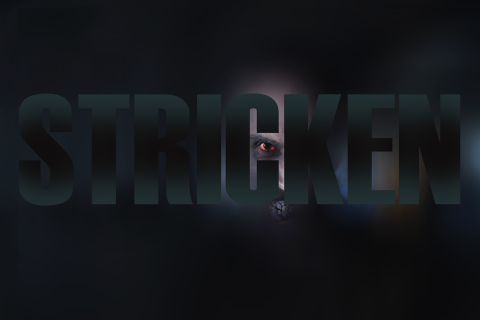 Stricken is quite possibly the scariest thing that I have seen in a really long time – and I love watching horror! It came as no surprise to me that it took home the award for Best Horror. It takes place in Northern BC and documents an epidemic of infected people who have become ravenous monsters, needing to eat anything in sight. The first episode shown was extremely gory and the second one was just out-and-out scary! This is definitely not a series for the faint of heart, or the young. Based on the synopsis in the Web Fest guide, the infection is due to a fungus, and while we did not see the origin or explanation of this in the episodes that were shown, it definitely left me needing to see more. These four series were my favourites of the day, but I do want to mention the following as they also have stuck with me and left me wanting to see more. Camille Raconte/Lily Tells is a sweet and funny retelling of classic movies (Jurassic Park, Lord of the Rings, Titanic) through children’s drawings and a voice over from Lily. Asset was an intriguing spy thriller that I really think can go far. Growing Alice is an interview style series with the parents of Alice (2 years old) who are doing everything they can to ensure that Alice is raised perfectly – a slightly dark and humorous, but sadly all too true, look at how some parents don’t see their children as anything but a status symbol. Haphead was a futuristic story about teenagers becoming immersed, literally, in video games through an interface in the back of their neck. The combination of live action and video game footage was seamless and extremely well done. Splitting the day was a fascinating exotic animal handlers panel. Hosted by Dan Payne (Divine: The Series) it brought together Gary Oliver of Cinemazoo and Urban Rescue Safari in BC, Joanne Bentley, the Falconlady from BC and Kimmi Kraus from Project Wild Song in California. Accompanying them were Dozer the African spur-thighed tortoise, Team Feathers – consisting of Jarih the saker falcon, Sabre the gyrfalcon and Mohave the red tail buzzard – and Damu, a three-year-old Ambassador wolf. Each of them spoke about how their animals have been rescued from difficult situations and are now living happy lives and making movies. The panel was fascinating, highlighting how they are all are excited to educate both children (all of them take their animals to schools to work with children) and directors alike. The safety and happiness of the animals comes first and educating the directors on how to make that happen can make it much easier to get a shot that will make the move or tv/web episode that much better. The panel was very popular and actually over ran but I don’t think there was anyone in the audience that minded. 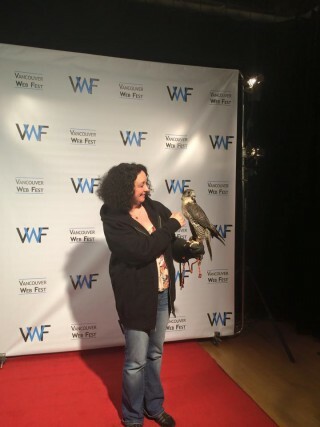 A personal highlight after the panel was that we were able to take pictures with the animals and I now have a picture of me with a wolf and another of me holding Sabre the gyrfalcon. In conclusion, my day at the Web Fest was thoroughly enjoyable and has certainly given me a number of series to be on the look out for. I hope to be able to go to more than one day when it returns to Vancouver next year and I’ve already made a note of the dates – March 18-20 2016. Perhaps I’ll see you there. 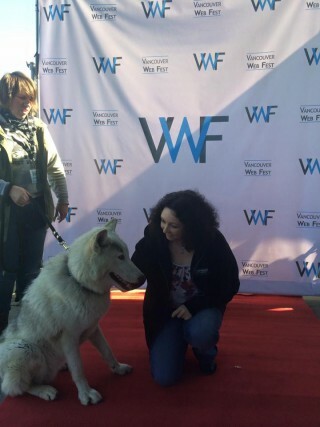 Thank you for the amazing article on Vancouver Web Fest 2015!